Posted by jeffrooney in Egoscue. Here’s a thirteen minute interview with Brian Bradley, a 23 year veteran of the Egoscue Method and Vice President of the company. Give a listen and see if it resonates. Get in touch with me if it rings true to your situation. 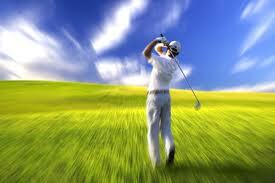 Posted by jeffrooney in Egoscue Method, Fitness, Golf, Posture, Posture Alignment Therapy. This is a great article from John Elder of Nashville Egoscue. He explores a premise in our alignment therapy work that – it is the body that you bring to your activity that is a key starting point. So he elaborates a bit on this theme and then gives 3 short exercises to use to set up your body for the golf game and beyond. Don’t be surprised when your game improves – it is your body that just got better!